If by chance you did not heed the warning from our last blog about ways to save money by not buying lakefront property... this blog is for you. This is a step by step plan on how to turn your lakefront property into the best investment of your lifetime! Step 1: Buy lakefront property... specifically this one. 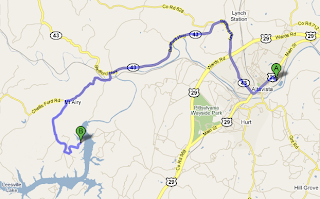 This plan is geared for a lot on Leesville Lake in Altavista VA... but can be done anywhere. Actually you don't really need to buy land... just find a random piece of property on a random lake and continue with the step by step plan. Step 2: Find a house. Since you have a piece of land and no house... you can't really use your lakefront property very often. So it is important to put a house on it. Building a house is a big hassle and it usually costs more than you expect. That is why you should find a house and move it onto your lot. Moving an old run down house and fixing it up is much easier, more economical, environmentally friendly, and will definitely cost less than you expect. 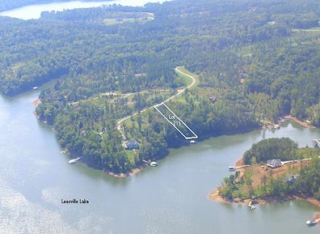 To make this plan easier for you... we have found a house that is within 15 miles of the above mentioned lot on leesville lake. 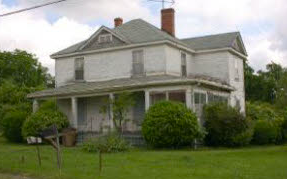 The house we found (pictured above) is located on Hughes Ave only 14 miles away. The price of the house is only $49,300. That includes the land the house is sitting on. I'm pretty sure the land would probably be worth more with the house off of it than with the house on it. So buy the house and land, move the house, and sell the land for $49,300 and there you go... a free house! Step 3: Move the house. This is probably the easiest part of the process. How hard could it be to move a house? I'm pretty sure you can do this with some logs and donkeys. Put the logs next to the house, strap the donkeys to the house, pull the house onto the logs and roll it all the way to the lake. We have even mapped out the route to help you. Now that you have moved the house and dropped it onto your lakefront property you are good to go. Enjoy! Most Home Owner Associations really like old run down houses in their developments. But, if you don't like living in a run down house, go to home depot buy some nails and putty. That should be about all you need. Congratulations, you have just turned the worst investment of your life into the best! Make money by becoming an HGTV and DIY star! How to make $800 in 4 minutes!